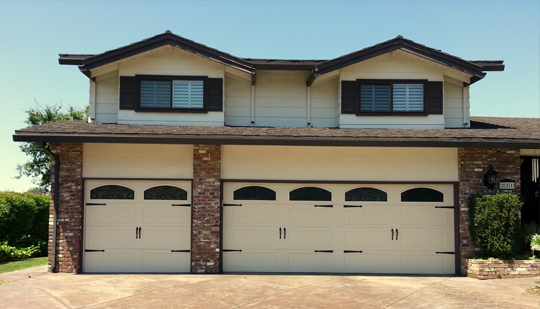 Keeping your garage door working well for a long time is desirable since it not only saves money that is needed for multiple repairs, but also because it ensures that you can get in and out without much ado. The garage in many homes has a door that leads inside the house, making it an easy point of entry for intruders. It is therefore very important that the door is in good shape; otherwise, the consequences can be really bad. So how do you keep a garage door working well for longer? Many people will remember to oil their car, the lawn mower, and other equipment but not the garage door hinges. When lubricating the garage door, ensure that you use thick oil or grease. This allows the door to open and close easily. Lubricating the garage door also reduces the noise made when opening and closing it. You also avoid replacing the hinges every few months by having the hinges oiled. Testing the garage door for points of weakness allows you anticipate repairs before they are needed. Remember the door is an access point to your home that should be able to keep out intruders. The door also protects your cars from elements of the weather and burglars. When inspecting for weakness, focus on the locking mechanism. Locking mechanisms fail and many people ignore repairing them. Water promotes rust and ruins paint work. If you intend to keep the repair people away, ensure that the garage door isn’t in contact with water for long periods. This means that you have to shovel the snow away in winter, for example. Keeping the garage door dry also protects the cars and other equipment inside from too much moisture. Leaving the garage door open when it should be closed tends to exert too much pressure on hinges. This in turn weakens the m and forces you to keep repairing them. If your garage door rolls down from the roof, resist the temptation to keep it hanging in midair. Keeping the garage door closed also keep out dirt. The garage door is hinged on a frame that needs to be sturdy. This is especially important if the frame is wooden or metallic since metal is likely to weaken with rust while wood can rot away. By regularly checking the frame for rust and rot, you avoid having the door weaken. The paintwork on a door is good for the aesthetics but more important it keep the door protected. Wooden doors should especially have an oil paint coating to prevent them from soaking up water and rotting away. Metallic doors should also have a paint coat since any small exposure leads to rusting. These are but a few simple things that can save you from having to spend on big repairs or an entirely new garage door installation. This entry was posted in Blog and tagged garage door maintenance, garage door safety, repairing garage door. Bookmark the permalink.